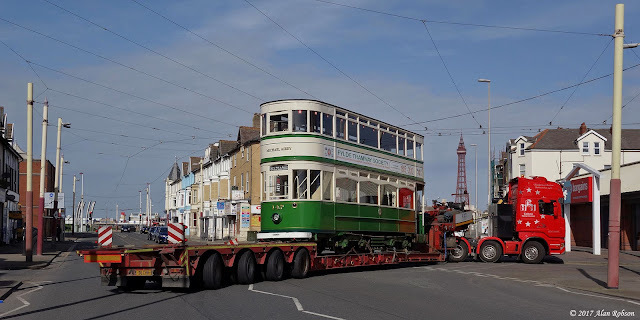 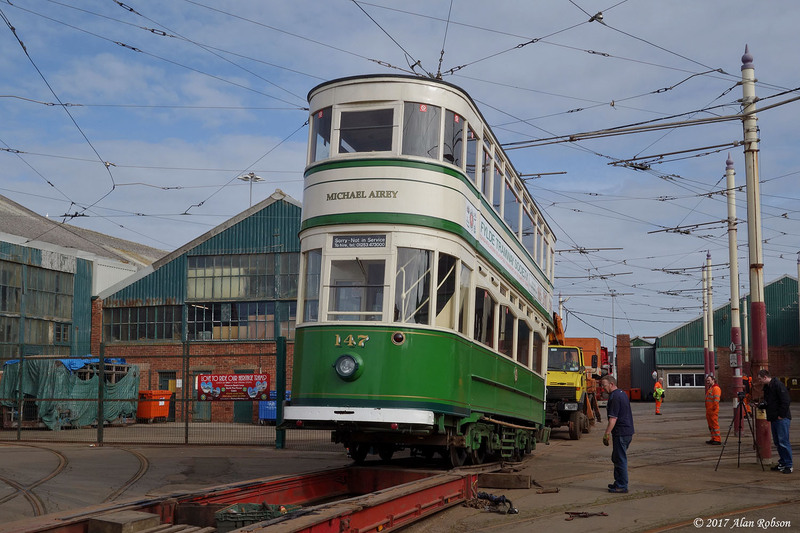 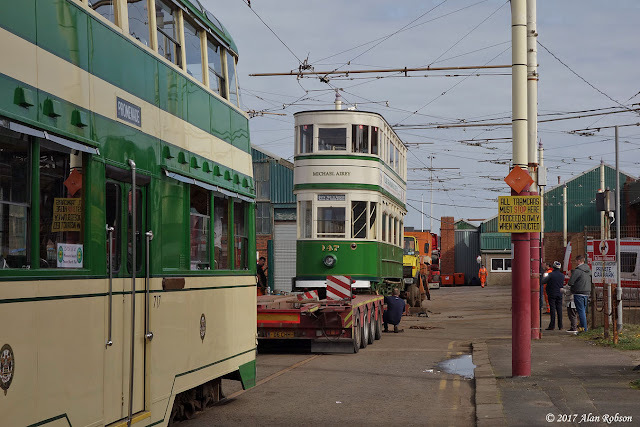 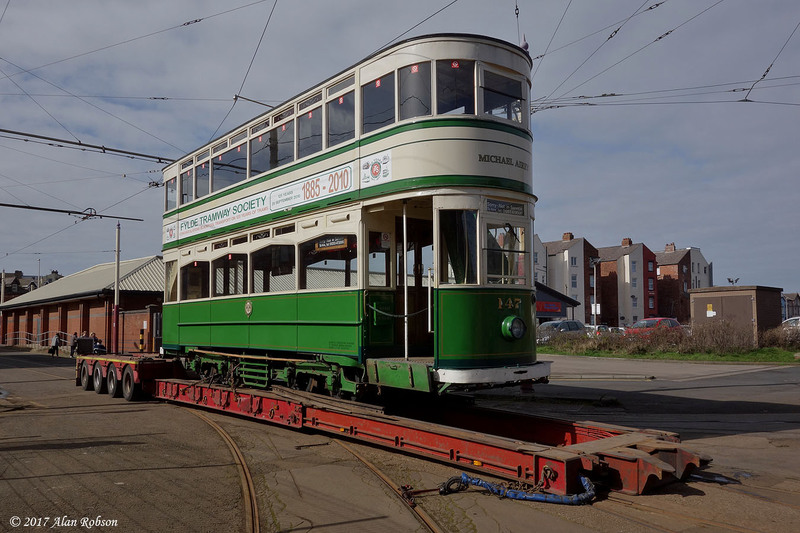 Standard 147 returned home to Blackpool on Wednesday 15th March, the tram having been involved in a swap with Marton 31 from Beamish Museum for the last 12 months. With the return of 31 to Beamish on Monday, it was the turn of 147 to travel across the Pennines in the care of Calkeld Heavy Haulage, but in the opposite direction the day after. 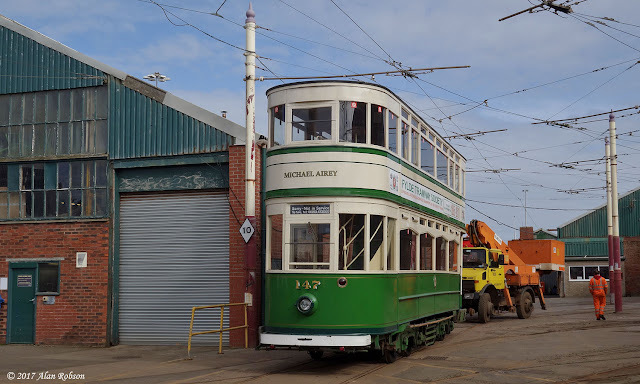 147 left Beamish around midday on Tuesday 14th March, stopping overnight in Skipton before continuing the journey to Blackpool the following morning, arriving in the resort 24 hours after it had left Beamish. 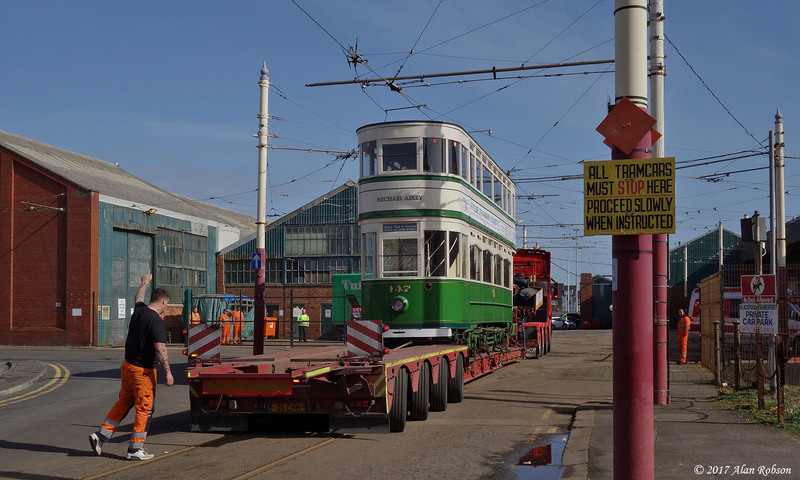 Unusually it was decided to unload the tram in Hopton Road, rather than the usual location in Blundell Street. 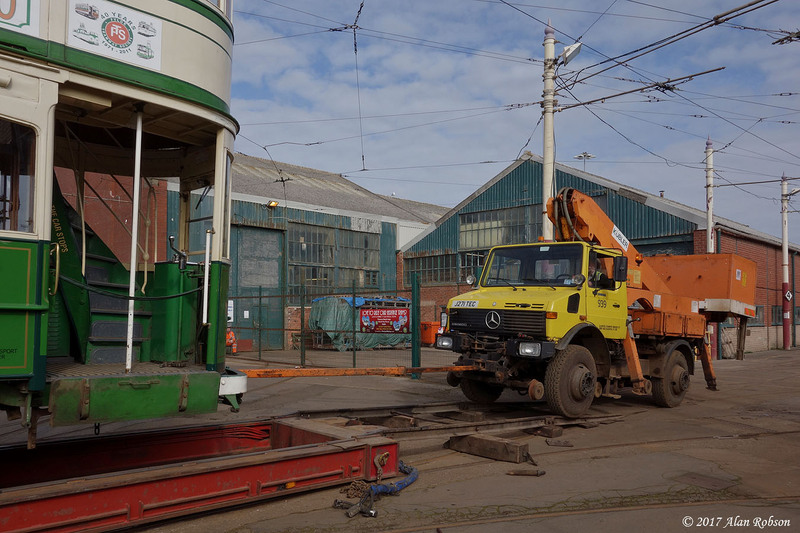 A swift unloading followed, with 147 being pulled off the trailer and towed into the depot by Unimog 939. 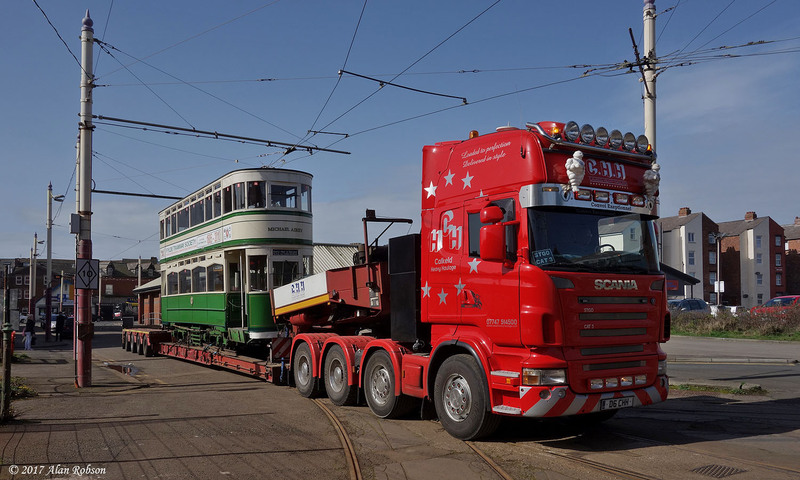 During the unloading process Balloon 717 arrived in Hopton Road, which then had to wait behind Calkeld's trailer until after they had departed.